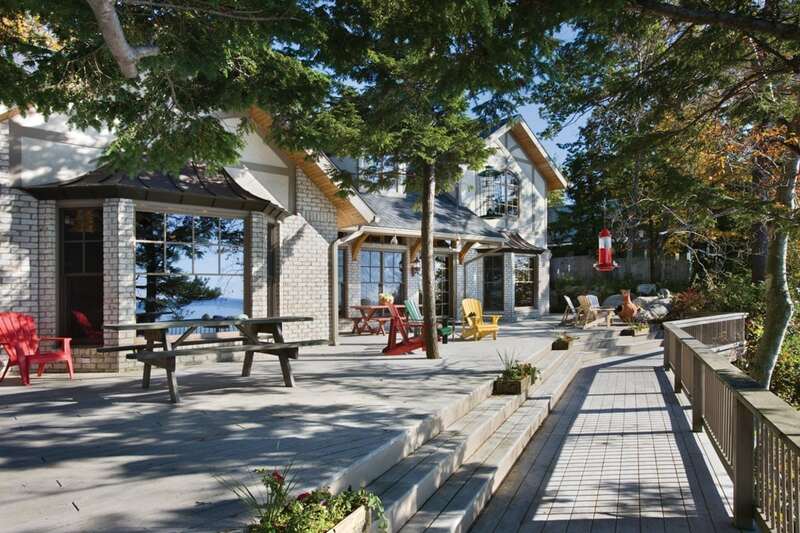 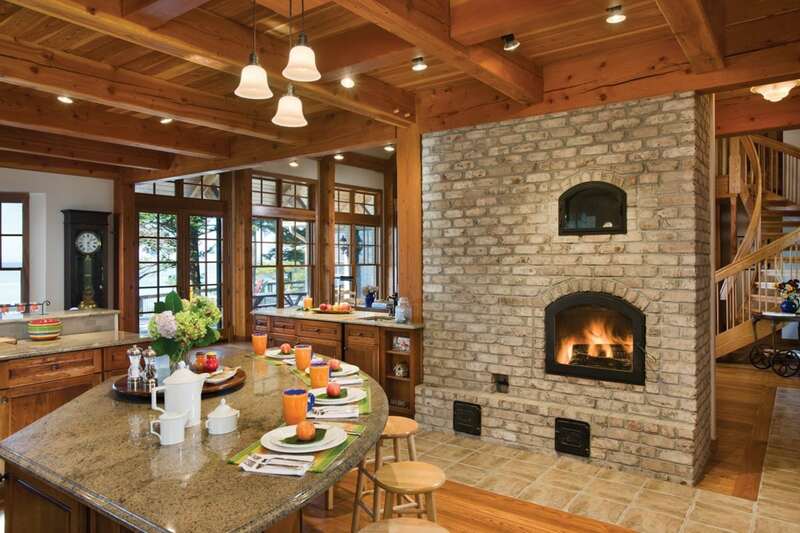 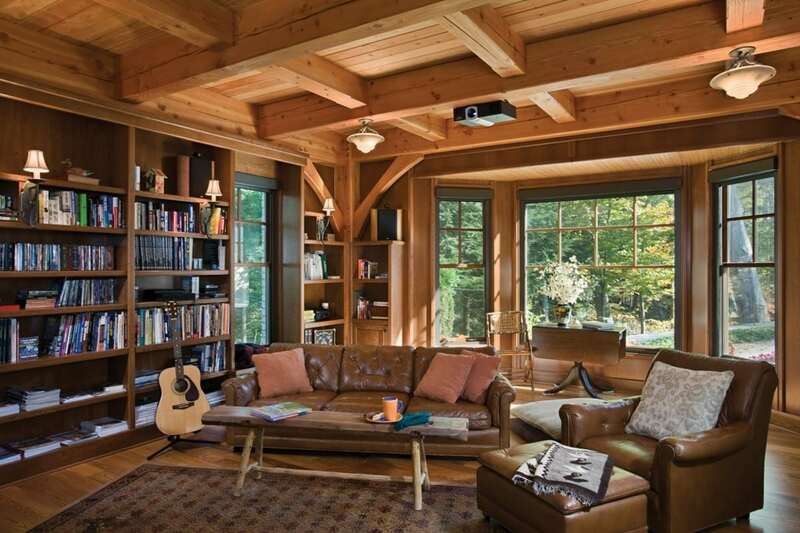 This lakeside cottage was built for a family to find refuge and relaxation from their busy life in Grand Rapids. 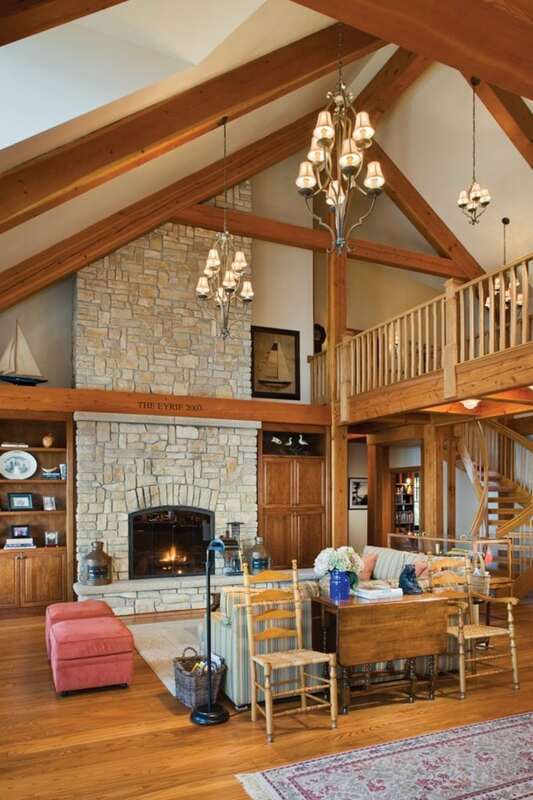 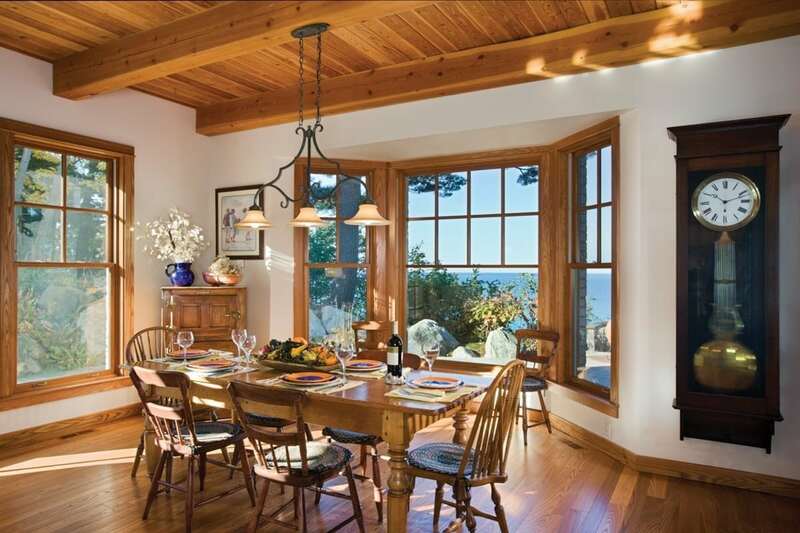 The home’s layout is perfect for their large group with plenty of space upstairs to sleep children and guests alike. 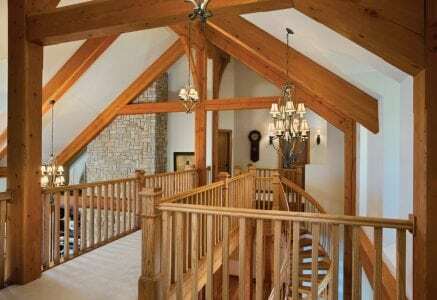 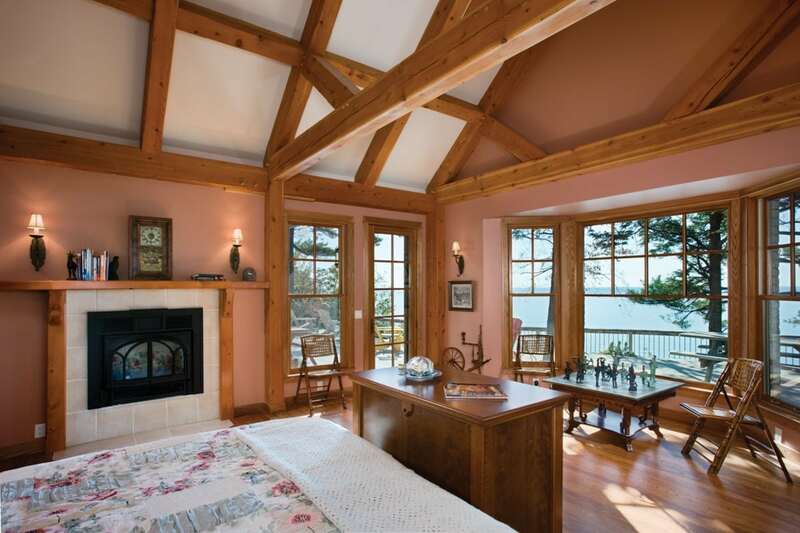 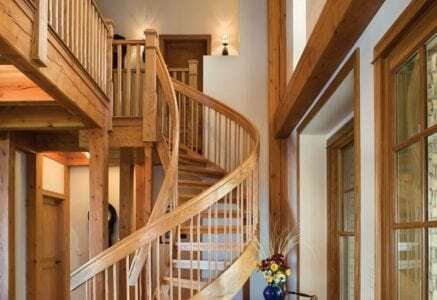 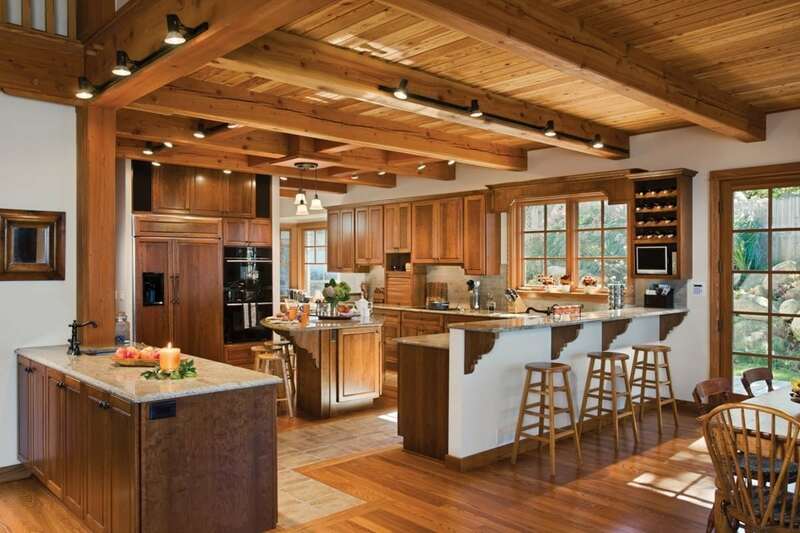 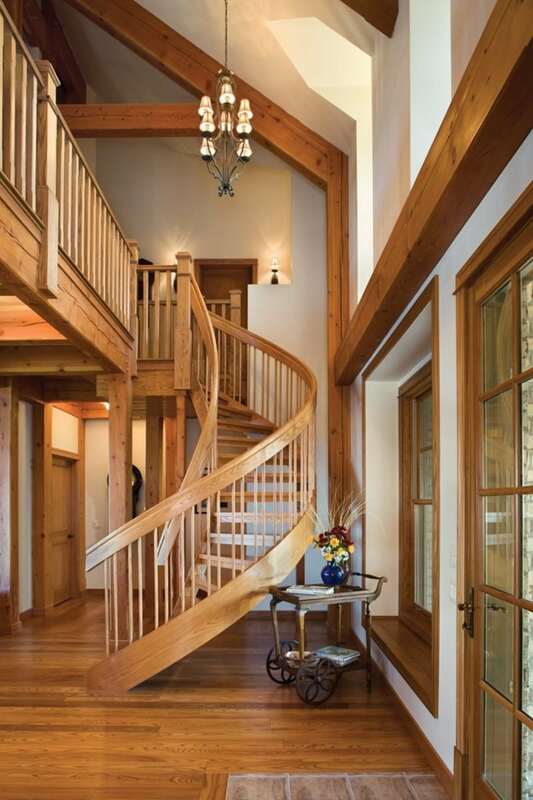 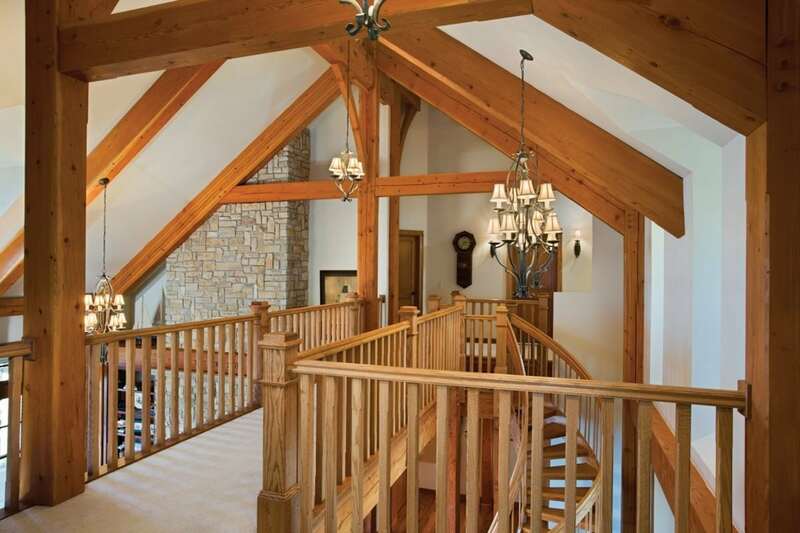 The main-level master suite is a luxurious retreat where the vaulted ceiling features beautiful timber framing. 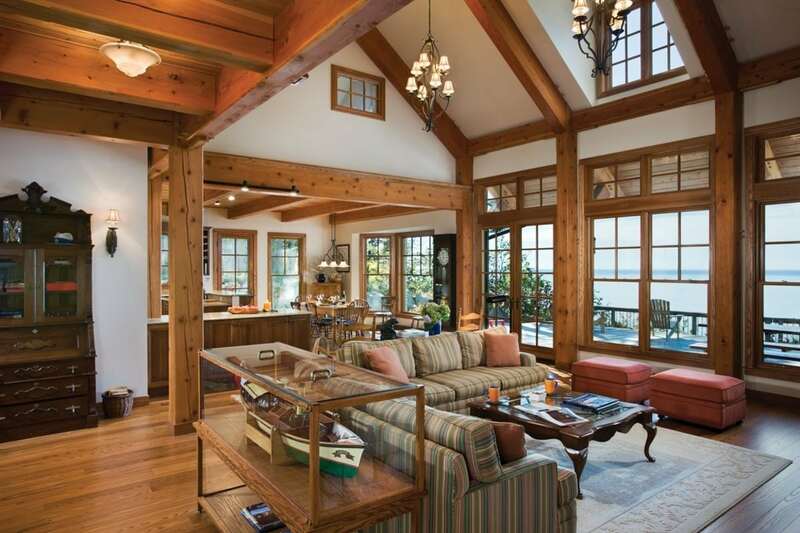 The expansive bay window looks out to the lake and a private fireplace creates a cozy atmosphere when the sun goes down. 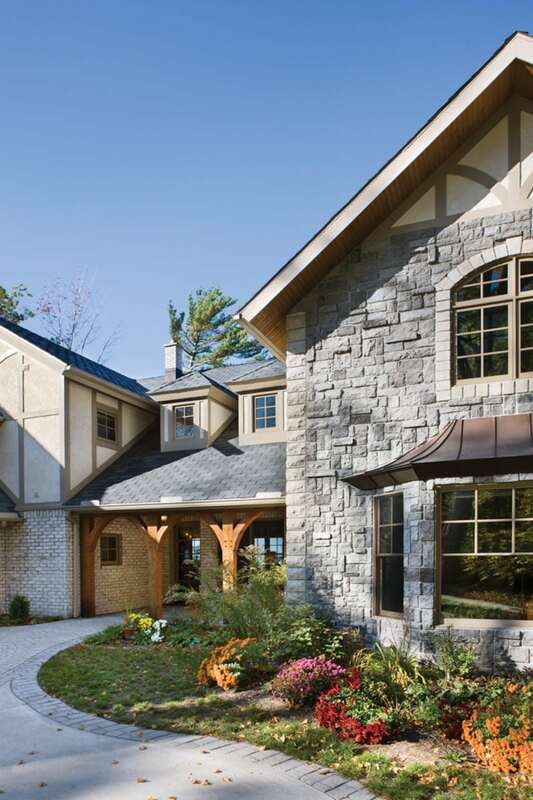 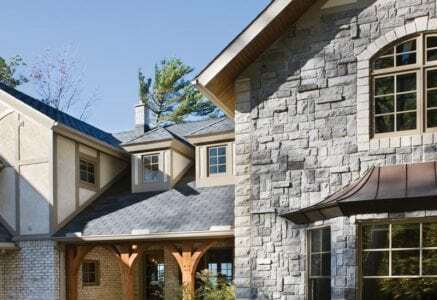 Keeping with the old-world architectural style, the homeowners had a view tower incorporated into the design. 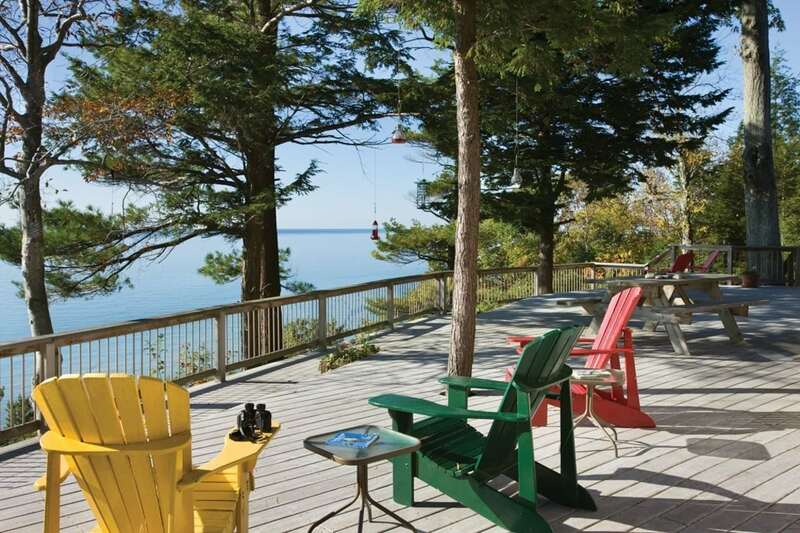 An elevator goes from the basement to the top level providing even more magnificent views of Lake Michigan.